One of, if not the most challenging leadership development passages is that of a brand new leader. Who can ever forget that first supervisory role? This is where we make most of our mistakes and learn many of our most valuable leadership lessons. Those of us who have been training generations of new leaders have collected hundreds of war stories, and can recognize the predictable and repeatable patterns. We do our best to pass along the wisdom of leaders who have survived and thrived in their first leadership roles. I’ve written a post called 7 Myths About Management, so that potential leaders can explore their own motivations and make sure they are making a choice based on reality and facts, and not misperceptions. 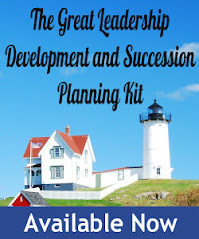 One of my favorite bloggers, Art Petty, has co-authored a book called Practical Lessons in Leadership; a Guidebook for Aspiring and Experienced Leaders. I love the book – I’d highly recommend it for any leader. In fact, if I could only give ONE book to a brand new leader, it might be this one. 1. People do not naturally want to be led by you. It may come as a shock, but no one is particularly interested in working for YOU. A promotion and a title might bestow grudging tolerance and even a little bit of deference, but never credibility or true respect. First, prove your credibility and then earn their respect. 2. Everyone has an agenda…they just don’t always share it. New leaders like to believe that everyone looks at business challenges, department objectives and initiatives from the same perspective – theirs. Learn to truly pay attention to your associates, in order to understand their unique agendas, motivations, interests, and ambitions. 3. The personal problems of your associates will become your problems if you let them (and sometimes you can’t help it). New Managers, and even experienced ones, attract their team’s personal problems like flowers attract bees. You will find yourself on the receiving end of people’s challenges in their personal lives, with their health, their finances, their romances, their children, and just about every other dilemma that humans encounter. Learn to keep the focus on business but remember to be a human being. 4. Your instinct says “Do it because I’m the boss.” Your instinct is wrong. “Because I said so” is best left for your parenting chores and checked at the door when you enter the office. Success comes when you realize that “you” are not the subject. Recognize that people do not change their nature. 6. We all have weaknesses; don’t make them your focal point. It’s not your responsibility to fix the flaws of your associates. Learn to leverage people’s strengths and develop teams where the members have complementary skills, and you will succeed beyond your wildest dreams. Dan’s note: I’ll admit, new leaders tend to start off overly nit-picky; but I’m sure Art would agree that there are times when weaknesses do have to be addressed. 7. The key to leading people is obvious. Too bad no one will tell you what it is. Well, Art will – the answer is “Respect”. It’s all about treating people with respect. 8. The most important part of your job is probably not in your job description. Creating an effective work environment is your real job. 9. Beware of over-investing your time and energy with the wrong people. Every manager will at some point get to deal with a “brilliant problem child” employee – with outstanding technical skills but fatal flaws when it comes to people skills. These employees lack the emotional intelligence to recognize their aberrant behaviors, and therefore rarely if ever change. When dealing these employees, be fair and be decisive. 10. You are responsible for your team’s results. It’s your name on the door and you are accountable. It’s not pleasant to feel the cold hand of reality slapping you across the face, but then again, its real life. How about you? Do you have a favorite challenge to pass along to a new leader? Really good post that nails the subject on the head. My favorite piece of this post is "treating people with respect". If you do that, much of the job becomes easier. Now, while "because I said so" would certainly be a turn-off if used in the office, giving reasons may actually get you better results. That word 'because' can be quite effective! With regard to #8, I once had someone tell me that my job was not my job, but my job was to make my boss look good. Of course, ultimately, the only way to do that is to do your job well. Thanks, I'm glad you found it too! Hey Dan, This is an excellent top ten list. You have a lot of great insight and issues that I think leaders and managers face when finding themselves in a position of authority. Dealing with other people is the most difficult of any business, I think #7 "respect" goes a long way. You can post this to our site http://www.toptentopten.com/ and then link back to your site. We are looking for top ten lists and our users can track back to your site. The coolest feature is you can let other people vote on the rankings of your list. this is a really great tips and facts for a leader to read. It says a alot and puts many things in perspective. Hi Dan, Thanks so much for including my post on personal leadership and how it shines in difficult times. This was my first submission and I do look forward to writing valuable posts that will push the envelope and extend insights on management/leadership subjects. You're welcome, and thanks for contributing to this month's leadership development carnival. Beautiful. I think this is what is even mentioned in the scriptures. "Deprived of knowledge as a result of cravings one tends to follow other discplines being constrained by their inborn nature"